Welcome to the advanced theory section. Here we will take a look at the modes of the major scale, and their uses. Musical theory is a very large topic, and what I will cover here is only one small section of it. I have called this advanced theory because the concepts are quite complex here. You should be aware of other fields of theory, such as composition theory, harmonic theory, chord voicings and so on. Modes are created when we take a scale, and start playing it from a different degree. Each degree of a scale has its own mode. To understand modes properly, you will need to have a good working knowledge of key centres. Lets use the key of G major for these examples. Another term for the G major scale would be G Ionian. The Ionian mode is the name we give to the first mode of the major scale. Because G is the first note of G major, we can call it G Ionian. A B C D E F# G A – gives us our second mode of the major scale, which we refer to as the Dorian mode. As you progress through the key of G, you should be aware of the harmony. The second degree of the major scale always results in a minor chord being built, and so the Dorian mode takes on a minor quality to it. The order of tones and semitones has now changed, so we hear the mode slightly differently to G Ionian, even though we are using the same notes. This process continues for each mode. We simply move along one degree each time, and give the new order of notes a fresh name. The names of the modes, in order, are as follows: Ionian, Dorian, Phrygian, Lydian, Mixolydian, Aeolian and finally Locrian. To familiarize yourself with these names, and which number they represent, I suggest setting yourself a number of tasks, such as the ones below. Can you answer these questions without making any mistakes? • What is the 4th mode of B major? • What is the 2nd mode of C major? • What is the 6th mode of E♭ major? • What is the 5th mode of G major? Continue to think of modes like this until you can confidently and quickly work out which modes belong where in their parent keys. Some people refer to key centres as ‘the source’ of a key. 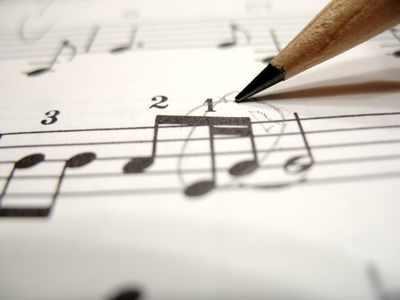 At this stage I would advise you to use terminology that you are comfortable with, but be aware of musical jargon too – you need to be able to communicate efficiently with other musicians if you are to be successful at this level of study. It is at this point that some people get confused on the subject of modes. I try to teach that there are a few different perspectives from which we can approach them. You should now know how we derive modes from a particular key, going along in order applying each mode for the next degree of the major scale. However, some people get mixed up when we look into scale spellings. At this point I would like to reinforce the fact that all scale spellings are only useful, if you are comparing them directly to the major scale. If we wish to build F Dorian scale using a scale spelling, you must first use the F major scale as a reference point. We must start with F major to build any variation or mode from it, be it minor, melodic minor, harmonic major, or any of the modes. Do not get mixed up with keys here, it doesn’t have to be that complex for now. I’ll now work through each modal spelling to show you what I mean, before suggesting where you could apply each mode. This is exactly the same as the major scale, so you should already know you could use this scale over a diatonic chord progression. We know the spelling is simply 1, 2, 3, 4, 5, 6, 7 and then back to the root. Ionian modes will work well over major triads, maj7, maj9, maj11 and maj13 chords. The Dorian mode is the second mode of the major scale. When we begin a scale from the second degree, the interval spacing also moves along, giving us this: Whole, half, whole, whole, whole, half, whole. The spelling of the Dorian mode is very close to the natural minor scale, in fact it differs on only one degree, specially a raised 6th, leaving us with the following: 1, 2, ♭3, 4, 5, 6, ♭7 and back to the root. These intervals mean that minor triads and their extensions work well with the Dorian mode (m7, m9, m11, m13). Musicians will often use terms such as ‘light’ or ‘dark’ when talking about modes, which relate to how they sound. The Dorian scale lies in the middle of this list for me. It holds onto some darker minor tonalities with the flattened 3rd and 7th intervals, but the elevation of the 6th compensates this. It is often found in funk music as well as jazz. Check out Daft Punk – Get Lucky to hear a recent example of the Dorian scale being used in popular music. This is the third mode of the major scale, and is often heard as a Spanish sort of sound with flamenco connotations. Again, we simply move our interval spaces along one more step in the line, resulting in: Half, whole, whole, whole, half, whole, whole. Next we will look at the scale spelling – 1, ♭2, ♭3, 4, 5, ♭6, ♭7 and back to the root. Again, you should be able to see that this mode is very similar to the natural minor scale, with one extra degree flattened – the 2nd. This means that once again, minor triads and their extensions will sound nice when used behind a Phrygian mode, however, for more advanced ideas, try using minor ♭9 chords, or even sus(♭9). This flattened 9th interval will highlight the flattened 2nd degree. My chord suggestions in full – minor triads, m7(♭9), m11(♭9), sus4(♭9). The Phrygian mode is certainly a darker, more malevolent sounding mode, more so than the natural minor, due to the flattened 2nd interval. This is a euphoric sounding mode, employed frequently by one of my favourite guitarists, Satriani. It is the fourth mode of the major scale, and being so is has a really bright, uplifting vibe to it. The interval spacing is as follows: Whole, whole, whole, half, whole, whole, half. The scale spelling closely resembles the major scale (or Ionian mode), we must simply sharpen the 4th degree, giving us this: 1, 2, 3, #4, 5, 6, 7 and back to the root. This means all major triads and their extensions will work (maj7, 9, 11 and 13), but to access this sharpened 4th degree you should try to use some #11 chords – for example maj7(#11). I’ve already used the term ‘bright’ to describe this mode, and in fact it is the lightest one you’ll come across – the only one of the major scale modes to posses a sharpened interval anywhere. The Mixolydian is built from the 5th degree of the major scale, which should be screaming ‘dominant 7th’ at you straight away. We know dominant 7th chords play a significant role in all popular styles of music, but none so more than the blues. Our new interval spacing looks like this: Whole, whole, half, whole, whole, half, whole. Like our first Lydian mode, this one changes only one degree from the major scale, and you should be able to work out that its going to be a flattened 7th (think of how me build dominant chords, and where we build them from – the 5th degree). I’ll write out the spelling for the sake of it: 1, 2, 3, 4, 5, 6, ♭7 and back to the root. Any dominant chord will work well with this scale – 7th, 9th, 11th or 13th’s are all viable options. On the light to dark spectrum, this is somewhere in the middle, a little brighter than the Dorian but not as bright at the Ionian due to the ♭7. Much like we can call the major scale the Ionian mode, we can call the natural minor scale the Aeolian mode – they’re exactly the same. Our intervals are once again moved along one place: Whole, half, whole, whole, half, whole, whole. You will already know this scale gives us darker tonalities due to its spelling: 1, 2, ♭3, 4, 5, ♭6, ♭7 and back to the root. Again, your usual minor triads and their extensions will work well, but for a more advanced player I would suggest m(♭13) variations. I’ve covered the natural minor scale in the intermediate section so this section is slightly shorter than the other modes. This is our seventh and final mode of the major scale (hooray!). Our intervals are now almost back to how they were originally, just one step out, leaving us with this: Half, whole, whole, half, whole, whole, whole. This is our most altered scale spelling 1, ♭2, ♭3, 4 ♭5, ♭6, ♭7 and back to the root. With so many flattened intervals, we are producing a very dark sound when using this mode. Being built from the 7th degree, we should be able to anticipate that we will be working around the diminished triad and its extensions – m7♭5, m7♭5(♭9), m11♭5(♭9). This concludes my advanced theory section. Each of these modes can be used in different ways and should offer you a lot of flexibility in your playing once you have mastered all of them. Remember – they’re all the same notes; we’re just playing them in a different order! Modes often prove tricky to teach, as well as to learn. I would advise a slow and methodical approach to learning them. As you advance through the different shapes for each mode, you will hopefully start to see patterns which link them all back to the major scale. Check out the advanced videos section for modal lessons. This post was written by Tom of Omni Guitar Tuition. Tom provides private guitar lessons in Rotherham and the surrounding areas, and working as a professional guitarist in a high energy party band called Electric Idols.